Series #1 of the Canada Butterfly Cup, three series competition was run in the Pan Am Centre, Markham, Ontario from 21st to the 23rd October. The Canada Cup is a significant part of the National Team Selection Process. National Team Coaches attend the event and evaluate players for ‘coach selection’ spots on the National Team. Canada Cup #1 is an open competition – clubs, cities and provincial associations can enter teams. Four players per team using Olympic team competition format. Running alongside this event was a full AGM weekend including a meeting of the Board and Member’s Council. SportLoMo CEO, Seamus Kyne presented at this AGM Weekend (pictured above). Saturday was opened by TTCAN President David Jackson, followed by an update from John Hyland CDO and a presentation from Canada Games. The schedule also had sessions on Coach Development, breakouts and workshops. Seamus Kyne presented to the TTCAN Board of Directors and representatives from all the Provinces & Territories on the digital solution to be delivered direct to TTCAN’s twelve member associations. This is part of the recently announced Table Tennis alliance between TTCAN and SportLoMo. TTCAN will use the full suite of SportLoMo technology features across Online Registration, Membership and Payments, Event Management to include the tracking and management of training courses to all of its coaches and referees. tober) to be run in My Table Tennis Club, Waterloo. The final entry list for Series #1 included Men’s Team, Women’s Team, Men’s Singles, Women’s Singles, Cadet Boys, Cadet Girls, Hopes Boys and Hopes Girls. But for Series #2 Hopes Girls has been cancelled due to low registration. Pan Am Centre, Markham, Ontario. A busy few months for SportLoMo’s web developers with the launch of a number of new websites and Online Registration/Membership (and more in production). Many of our clients opt for a new website or a redesign of their existing website when they sign up for SportLoMo Competition Management and/or Online Membership. Players, club members and fans expect their sport to have a website optimised for viewing on mobile or tablet. The prestigious Ireland Youth Kennedy Cup tournament features the elite players from all 32 of the SFAI leagues is held annually in Limerick University. Each of the 32 affiliated Leagues enters a squad of twenty U-14 year old players to compete over an entire week with additional competitions for those teams which do not progress to the latter stages of the Kennedy Cup itself. Congrats to Hockey Ireland. 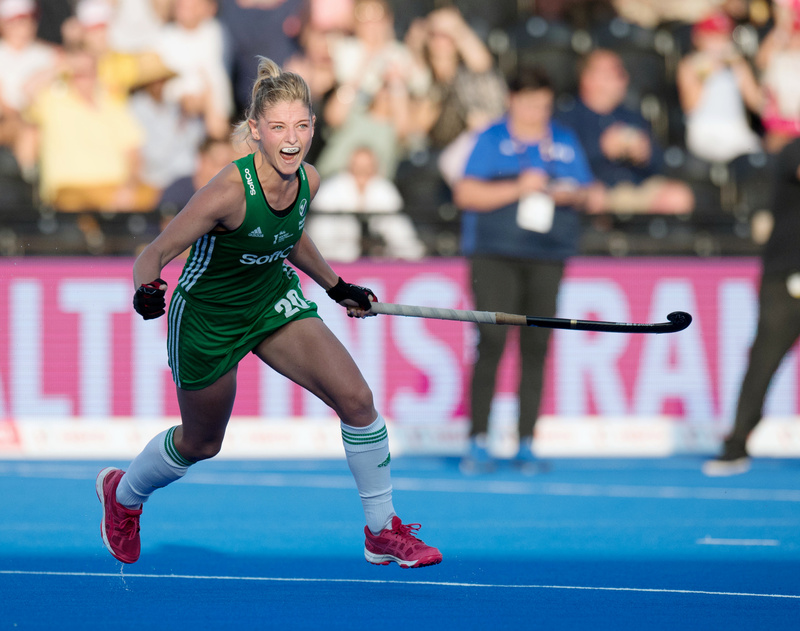 Everyone in SportLoMo is super excited for our ‘Client and Friends’ in Hockey Ireland. The Green Army have continued their history-making run by beating India in a penalty shootout to secure their place in the World Cup semi-finals. Read about this huge achievement on the Hockey Ireland Website. Ireland coach said he and his team want to achieve something special and inspire others. Read this article in the Irish times here. SportLoMo Complete hockey software for hockey leagues, umpires, referees and associations. Article by John Bohane (Evening Echo 31/7/2018). Photos courtesy of Tony McElhinney. 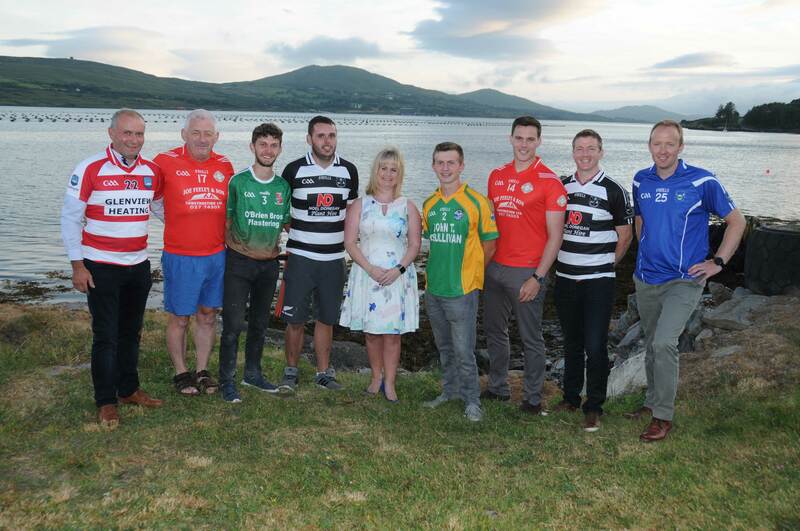 Cork County Board Chairperson Tracey Kennedy recently launched the official Beara GAA website which was held in Berehaven Lodge. 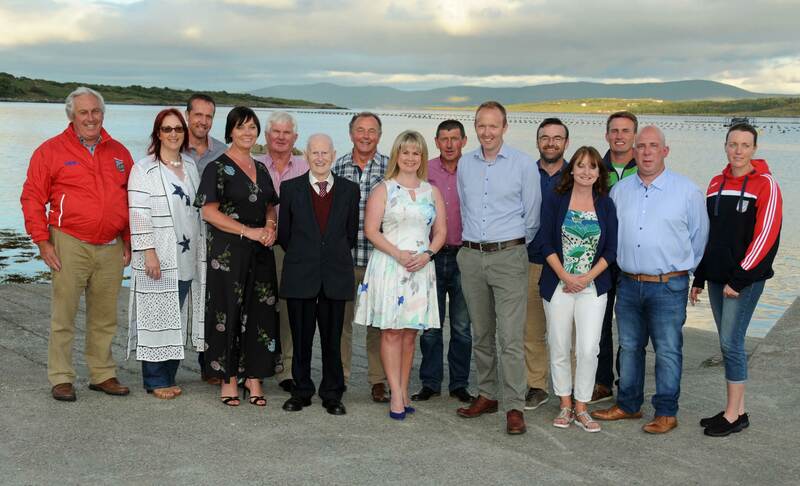 Her visit proved a resounding success as the popular administrator marked her two day visit to the picturesque region with a visit to all the six divisional clubs who make up the Beara division. Throughout the course of her visit, Tracey saw at first hand all the hard work the various club administrators, coaches, players and supporters are investing for the sheer love of their beloved respective clubs. Beara PRO Joseph Blake was delighted with the nature of her visit to the beautiful peninsula. “There was a lot of planning that went into the trip and I must thank the clubs and Tracey for their co-operation. Her visit to the peninsula proved a resounding success,” revealed the Adrigole man. Photos kindly provided by Tony McElhinney. Congratulations to Beara GAA PRO, Joseph Blake and his team on their new attractive website. New Beara website developed by SportLoMo – view the new mobile and all device responsive website. SportLoMo through our AustralAsian partner, Sports Club HQ, welcomes Baseball Queensland (QLD) to the SportLoMo platform. SportLoMo will provide member registration, competition and game management and umpire/referee/official assignment to Queensland. Sports Club HQ will act as the service provider and the direct contact with QLD, providing club services, a club app, communications and support on the ground in Australia. Organised baseball has been played in Queensland since 1937 with the early clubs springing up around Brisbane’s inner suburbs. There are seven Queensland baseball regions: Brisbane North, Brisbane South, Brisbane West, Brisbane Metro, Gold Coast, Far North Coast, North Queensland Baseball. Queensland is home to the Queensland Rams Junior, Women’s, Provincial and Senior representative Baseball Teams and their mascot “Ronny” the Ram. Many women play baseball in Australia and with the Queensland Rams Women’s team competing in the annual Australian Women’s National Titles, with an Australian Women’s Team being selected to represent Australia at the World Women’s Baseball Championships. Australia Women’s (Emeralds) are currently ranked fourth in World Women’s Baseball. The Australian Men’s team (Thunder) are ranked at number 8 in the World (WBSC). Baseball Queensland also enters the Junior Rams teams in the A (U14), AA (U16) and AAA (U18) Junior National Titles in January each year. Under 8 Migh Tee Ball & Aussie T-Ball (4-7yrs, boys and girls). U10 Rookie Ball (coaches pitch to their own teams, nine/ten players). Little League (U12) more closely resembles true baseball. Seniors Men’s, Women’s and Mixed Competitions, beginners to majors competitions. Australia is the fastest growing ‘Little League’ country in the world. The Australian Little League team crowned champions compete at the little league world series in the USA (fully funded trip). Junior League crowned champions represent Australia at the Asia Pacific Championships. The Australian Baseball League is Australia’s premiere baseball competition. Founded in 2010 as a joint venture between Baseball Australia and Major League Baseball, the ABL continues to thrill fans in Adelaide, Brisbane, Canberra, Melbourne, Perth and Sydney with a dazzling combination of Australia’s best homegrown talent and top prospects from around the world. Now entering its seventh season in 2016/17, the ABL has featured over 660 players from 17 different countries and territories and has assisted with the development of players from all 30 MLB teams. Since 2010 the Australian Baseball League has grown to become one of the fastest growing sports in Australia. Baseball Australia works with seven State and Territory associations and 600+ clubs across the country. Includes Queensland, New South Wales, Canberra, Victoria, South Australia, Western Australia and Northern Territory. Baseball Australia (BA) is the governing body for all levels of baseball throughout Australia. It is primarily responsible for the development of the sport; administration, conduct, participation, high performance and promotion. BA also acts as the international liaison and represents Australian Baseball at all International forums. Baseball Australia are the 100% owner of the Australian Baseball League (ABL). The Southern Thunder and the Emeralds are the Mens and Women’s National Senior representative teams for Baseball Australia, both competing in the biennial IBAF World Cup and the men in the triennial World Baseball Classic. It is expected that over the next month over 1500 teams will use the platform to register for their competitions. It will greatly reduce registration administration and offer the SFAI extensive financial reporting and communication modules. Phase 3 will involve creating a new state of the art mobile responsive website which will utilise much more of the Sportlomo platform. Modules such as membership and registration, online payments and invoicing, competition management, referee scheduling, venue booking, communications, website management and more all contained within Sportlomo. Kennedy Cup SFAI tournament 2018: DDSL (Dublin) beat KDUL (Kildare) to claim 32nd SFAI New Balance Kennedy Cup title. The Governing body of Table Tennis Canada and SportLoMo, the fastest-growing software provider of sports technology in Canada, today announced a strategic alliance to revolutionize table tennis in Canada. The two have forged an exclusive partnership to transform table tennis with the SportLoMo digital platform offering a suite of new technology features across all facets of the sport from Online Registration, Membership and Game Management to Player Participation. Table Tennis Canada, known as TTCAN, is a member of ITTF North America which sits underneath the world governing body, The International Table Tennis Federation (ITTF). Table tennis attracts a significant audience worldwide, with table tennis at the Rio 2016 Olympics attracting an audience of over ½ billion TV viewers. The International Federation (ITTF) boasts 222 National Associations worldwide. TT CAN is a not-for-profit organization, responsible for promoting and developing Table Tennis in Canada from grassroots to the podium, cataloging, sanctioning and processing tournaments within Canada. It maintains a national rating and ranking system and oversees the Canadian National Program. The strategic alliance between TTCAN and SportLoMo will create an integrated digital solution delivered direct to TTCAN’s twelve member associations, combining best-in-class sports management software with innovation. “TTCAN’s vision is to create a high-performance environment that supports Canadian athletes in their quest for the podium at major international competitions, build and maintain a national competition system, advance the expertise in all matters table tennis through education and programs accessible to all Canadians, and assist provincial member through LTAD/TT4Life programming associations with building a large base of table tennis players and clubs in Canada. SportLoMo has a proven track record and a great service. Together I feel we will provide a platform for table tennis in Canada to make strides forward.” said John Hyland, CDO, TTCAN. “SportLoMo and TTCAN share a commitment to increasing sports participation and optimizing the experience for all involved, especially for the volunteer coaches that are positively impacting the lives of thousands of young athletes” said Seamus Kyne, CEO, SportLoMo. “Our team are looking forward to working closely with TTCAN to improve player and fan engagement and retention while leveraging Table Tennis Canada’s strengths” comments Kyne. TTCAN will avail of the SportLoMo services to manage membership, online registration, collect and manage competition data for its website and update standings in real-time. Game administrators will also use the platform to schedule referees, umpires and game officials, check their availability/unavailability and auto-notify them of assignments. Exciting new Team Roster functionality will link Team Rosters to Member Registration and track individual players. Over time this will build a ‘playing history’ for each player thus giving the twelve provincial/territorial associations and their clubs the ability to view and track their own player’s playing history. This functionality comes with reporting modules, participation graphs and bar charts. Sportlomo complies with the requirement to cater for both national languages in Canada. French is localized (Canadian French) and the platform is supported by a dual English and French Call Centre. Given SportLoMo’s experience of the Canadian sports market and its global footprint, the company is well positioned to assist TTCAN drive forward in to a great future. The Canadian Association was formed in 1929, with Québec as the founding provincial member and Ontario joining 5 years later. A long association with the Canadian National Exhibition began in 1936, when the first Canadian Table Tennis Championships were staged there. Table Tennis Canada is a not-for-profit organization which governs the sport of Table Tennis in Canada. Table Tennis Canada upholds the principles of the ITTF while seeking to drive Canada to be a top nation in the sport. Table Tennis Canada will have a world class high performance program to drive sustained excellence at the Olympic and Paralympic level. Sportlomo is a leading provider of software to amateur sports across Europe, Australia, New Zealand, UAE, Canada and North America. SportLoMo is a global leader in sports technology providing an integrated technology platform for national governing bodies, sports leagues, associations, clubs, parents, coaches and athletes. DDSL (Dublin) beat KDUL (Kildare) to claim 32nd SFAI New Balance Kennedy Cup title. Kennedy Cup powered by SportLoMo technology. DDSL beat KDUL to claim 32nd SFAI New Balance Kennedy Cup title. Kennedy Cup was powered by SportLoMo technology. The SFAI, the governing body of Schoolboys Football in Ireland, caters for close to 100,000 players from more than 1,000 clubs through its 32 affiliated Leagues around Ireland. The Official Technology Partner of the SFAI and Kennedy Cup.